Having the appropriate suspension on your vehicle is very important. Without it your vehicle can suffer and the ride will not be enjoyable for the passengers inside. Whether you drive a car or a monster truck it does not matter, suspension is the key to having a smooth and comfortable ride in your vehicle. There are many different types of suspension kits you can purchase and install on your vehicle. Finding the perfect one that fits your preference and needs is a necessity. Not every vehicle will require the same type of suspension and therefore knowing what you need is important when starting your search. When you own a truck you may want to purchase a different type of suspension kit than you would if you owned a car. This is because many truck owners use their truck for hauling heavy cargo, towing, and for off road driving. All of these can up the demands of the vehicle’s performance, requiring a stronger and more durable suspension than a smaller car would need. One of the most common types of suspension for a truck is referred to as a suspension lift. There are a variety of brands and types of suspension lifts for trucks however the overall purpose is the same. 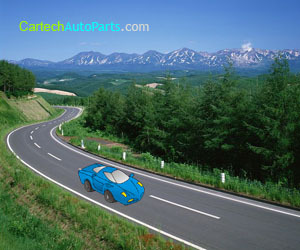 This is to help the vehicle handle better when driving, improve control and lessen the overall bouncing effect caused by bumps and rough patches in the road. The type of suspension lift kit that you will want to purchase will really depend on the type of vehicle you drive and the way the vehicle is driven. If you own a 2- wheel drive truck or SUV you will want a lift kit designed for that type of vehicle. However if you own a 4- wheel drive truck then there are also lift kits that are specifically designed for those vehicles as well. There are other factors that can help you determine the type of suspension lifts to buy and that includes knowing exactly how much lift you want to give your truck. For those who are trying to lift there truck an extra 6 inches you will want to purchase a suspension lift kit that gives you that ability. There are also suspension lifts that are easy to install and those that are recommended for trucks that are driven on very rough terrain and driven off road often. Different brands offer different features and most often it comes down to a person’s preference along with budget and needs. You should never rush into purchasing a suspension kit without first learning about all the different types and styles offered. If you are unsure what you should purchase and install then you should ask a professional that is used to dealing with truck suspension and they may be able to help you determine the right type of lift kit for your particular vehicle. It is always a good idea to find a reliable company that backs their product with a guarantee and has great customer service in case you have any questions regarding your new suspension kit or installation. If you are not familiar with the installation process of a lift kit then you may decide to let a professional install your new parts for you. However if you are planning on doing the installation yourself make sure to learn all about the proper way to install your new suspension lifts correctly. Without the proper installation of a suspension kit you can cause serious damage to the rest of your car or to those in the vehicle when driving. Once your new truck suspension lifts are in place you will be amazed at how smooth and comfortable your truck’s ride will be.